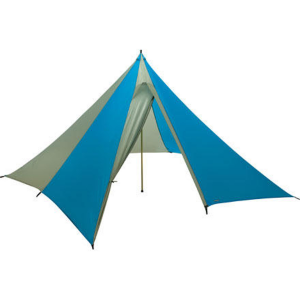 THe best shelter tarp one can buy and I wish it was still available. Not avalable any more in the 19 foot size from anyone. I really loved my Moss Parawing when I had it and have to say was upset when an early snowstorm in the Sierras tore it from snow load to where it was not repairable. 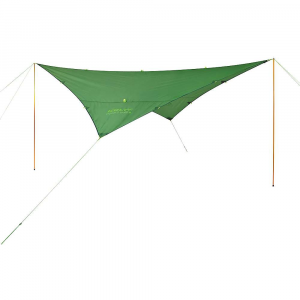 I originally bought my Moss Parawing as a tarp for kayaking trips in B.C. where finding a dry place to stack gear, cook, and stay out of the weather other than the tent was the only choice. The routine was to pack the Parawing at the top of the front hatch, so when you landed at a campsite in a drizzly or hard rain you could pop it out, set it up and create a dry place to lay your gear from your kayak. From there you would go set up your tents "at least 50 feet away "Bears" set up you camp and cook and socialize under the tarp. In the morning it was simple to just reverse the order and move on in great comfort. 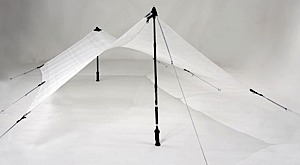 If the Parawing was set up correctly "Pole end to the wind " the unique shape of the tarp took on the shape of an air foil and would easily handle winds to around 25 to 30 mph without any issue. 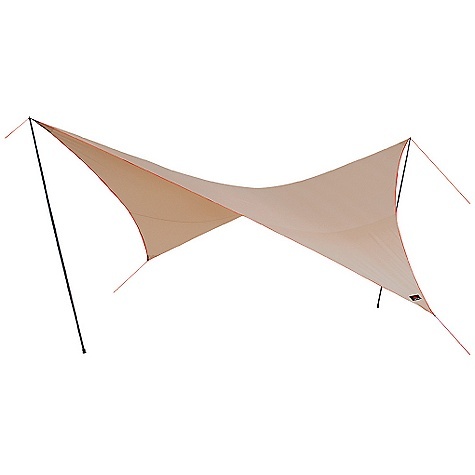 Really getting to love the use of the Parawing I started using it as a shade tarp in the desert and for work and literally would go nowhere without it. In many cases it was the only shade in miles and the only way to get out of the sun. In the end I literally wore it out. We bought our ParaWing in the mid to late 90s. After walking around our campground following a violent wind storm that had trashed most every other tarp/cover/screen room, I saw a ParaWing (then made by Moss Tents) for the first time. It was one of the few covers still standing. I was impressed with the quality and endurance, and we ordered one and haven't had a problem since. It completely covers a large picnic table with room to stand upright under it. 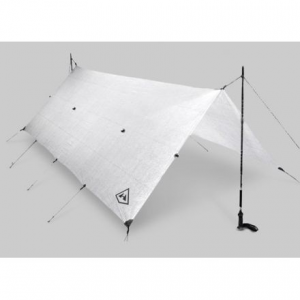 Its design allows it to flex with the wind, so can withstand quite a lot of weather. One person can set it up with no problem, and set ups get easier with practice. When our kids were in sports, I would bring it for shade and/or rain protection should the need arise. 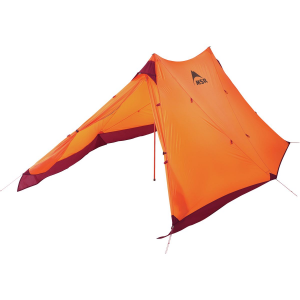 Overall, it has been very dependable over the years, and has been worth the price. We now have a trailer that has a large awning, so we don't get a chance to use the ParaWing as much as we used to, but it is always available for us. I've had offers to sell it, but ours will stay in the family for some years to come. 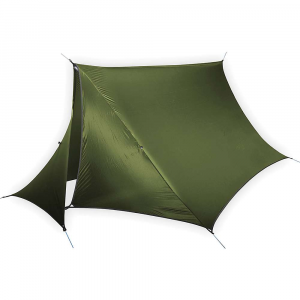 MSR makes great outdoor products, and if this is like the original design this is one great shelter. The 19' ParaWing has been discontinued. The MSR 19' ParaWing is not available from the stores we monitor. It was last seen January 15, 2013	at Mountain Gear.